Once again the holiday season is upon us, and we all have too many things to accomplish in a limited amount of time. As the most stressful month of the year approaches, now more than ever, we need a place to relax and recoup. That place is often our bedroom. Last week, we looked at what makes a great bedroom, and one of the components was a space to relax. 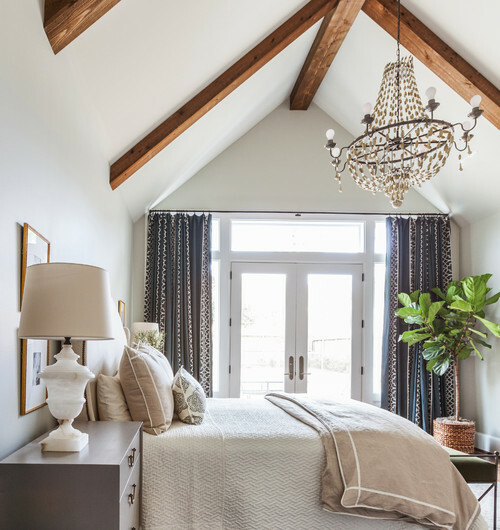 Heed these tips to create a relaxing bedroom, ideal for unwinding during the holiday season or at any time of the year. Choose the right size bed. A comfy bed is a given, but what about size? Many couples prefer a king bed, so they have plenty of space to sprawl. A queen-size should be the bare minimum for two people. 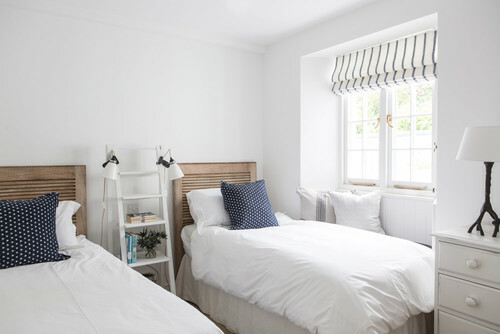 Twin beds are suitable for singles, but depending on the person’s size, a double bed might be comfier. Taller folks should opt for extra-long beds. Window treatments soften a space and help with light control. They can also enhance the mood of a room, so every bedroom should have shades, blinds, and or curtains, which also can keep a room soundproof and block out the world outside. Make sure that your bedroom isn’t too warm or too cool. Adjust the thermostat, don’t block heat or an air conditioning source, install a ceiling fan if possible, and if not, add a table fan for air circulation. No one wants clutter, and if you want to chill out in your bedroom, you won’t want it either. Stay organized and purge anything you don’t need. You’ll thank yourself later. If you haven’t experimented with scents in the bedroom, now is a good time to start. Use lavender and sage essential oils and candles to encourage relaxation and promote sleep. Keeping a bedroom tidy might not seem like an important step in creating a relaxing bedroom, but cleanliness is essential. If you want your bedroom to be your sanctuary, treat it as such. Clean once per week, and be sure that HVAC, lamps and any electronics are in working order.